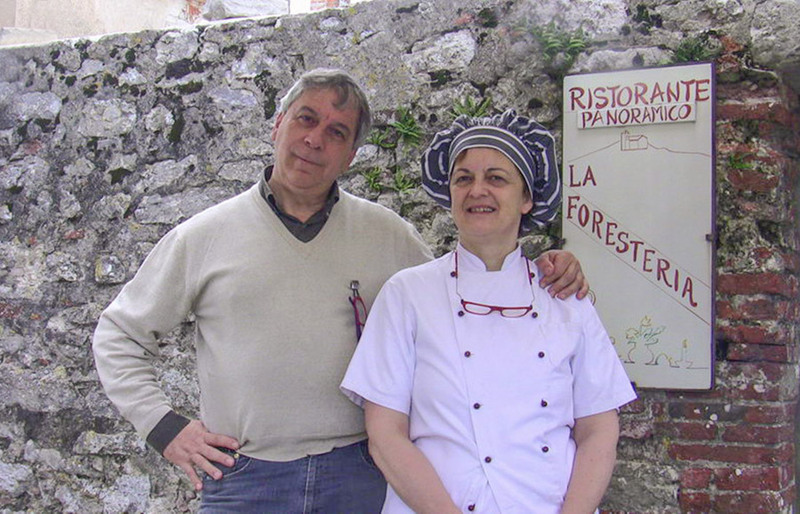 Furio Taddeo and Giovanna Meucci are the owners and managers of Villa San Bastiano. They were born in very distant places, and later on found themselves sharing a life and a profession in Tuscany. Furio was born in Naples, and then he moved to Monsummano Terme at the age of 11. Giovanna was born in Milan although her origin is 100% Tuscan. Furio attended the Hotel School in Montecatini Terme. Thanks to his studies he started, together with Giovanna, his experience in catering and hospitality. From the mid-Seventies to the late Nineties they managed a well-known place in Monsummano Terme which anticipated the concept of bar serving small meals, where top quality business lunches were served, with a special attention to pastry and wines. At that time, they also dealt with high-level catering. 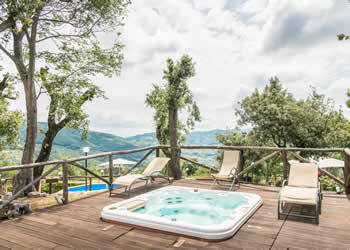 At the beginning of the 2000s Furio and Giovanna decided to aim at new professional horizons and were fascinated by the middle age village on top of Monsummano Alto, from where one can enjoy a stunning landscape, and the view can span over six different Tuscan provinces. In that place they opened the La Foresteria Restaurant and Villa San Bastiano, thus creating a place of excellence in catering and hospitality, fully immersed in nature, in the art of the ancient middle age village and in the peace that only the most special places can offer, with the advantage of being only a few bends away from the town of Monsummano Terme.